Bocce ball is a fun outdoor game to play with friends and family when the weather is nice. In the Salt Lake Valley, there are multiple outdoor courts to play on, and even a few bocce ball tournaments. 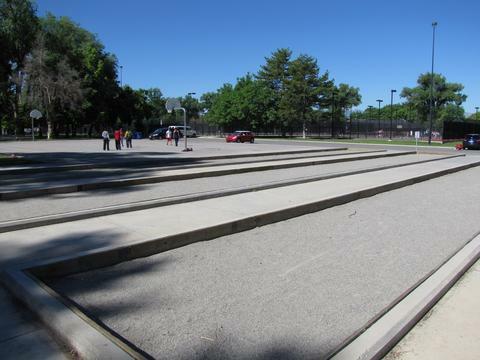 Among the list of outdoor fun available at Liberty Park is bocce ball - the courts are located in the northwestern area of the park next to the horseshoe pits. If you aren't rolling with your own team, try the Utah Bocce Association, which meets for games and hosts tournaments on the courts in Pioneer Park. Bocce is popular in the Italian community because the game is deeply rooted in Italian culture. The Italian-American Civic League has put on classes to teach anyone how to play bocce ball, and has also held annual tournaments - typically at Lagoon in August. Buy a bocce ball set on Amazon and bring your balls wherever you go!